The highly acclaimed director of OLDBOY and STOKER Park Chan-wook is back. This time the talented filmmaker is set to deliver to the masses his dark crime period piece thriller THE HANDMAIDEN. Similar to the devastating feature ASSASSINATION from Korean director Dong-hoon Choi the film takes place in the time where Korea was occupied by Japan. There is a house maiden that has a sinister plan to take down the Japanese heir she is working for. The film was released in Cannes and today Magnolia Pictures and Amazon Studios have released the official poster. Check it out ahead and look for the trailer to premiere on Apple Trailers this Friday! 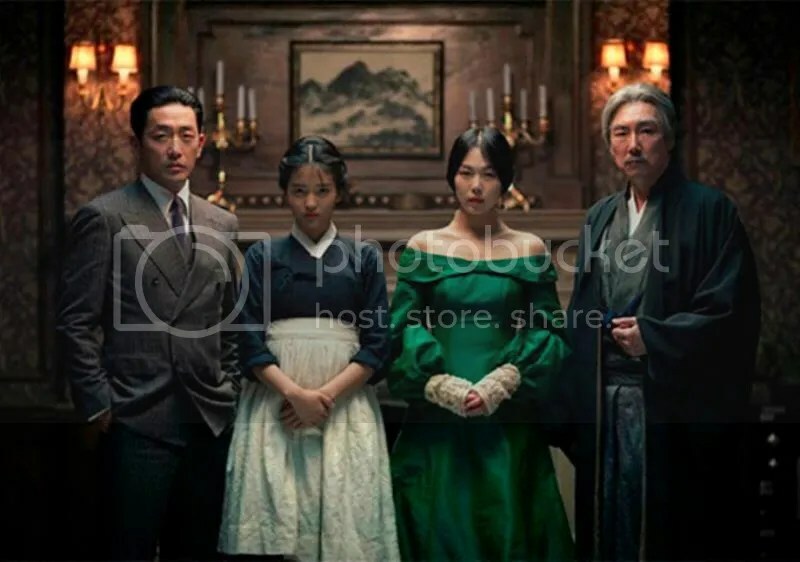 THE HANDMAIDEN is directed by Park Chan-wook and stars Kim Min-hee, Ha Jung-woo, Kim Tae-ri and Cho Jin-woong.